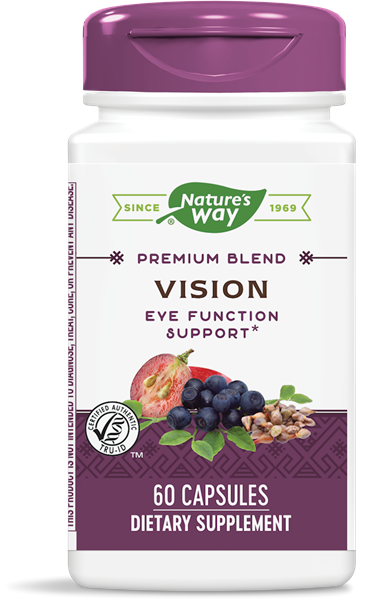 Vision / 60 Caps - Nature's Way®. At Nature's Way®, we believe nature knows best. That’s why our mission is to seek out the best herbs the earth has to give. We will go to any continent or country to bring you the purest botanicals possible. It’s not just our way, it’s Nature’s Way. Caution: If you are pregnant, nursing, have a blood clotting disorder, or are taking any medications, consult a healthcare professional before use.